Top 4 Things I Love About Tulane – Expanding your culture, one touch at a time. Even though I rarely attend (because they don’t have natty light and my mini fridge does), Tulane’s Business school sponsors an event every week called Thank God Its Thursday. That means that the school supplies us with food and beer. 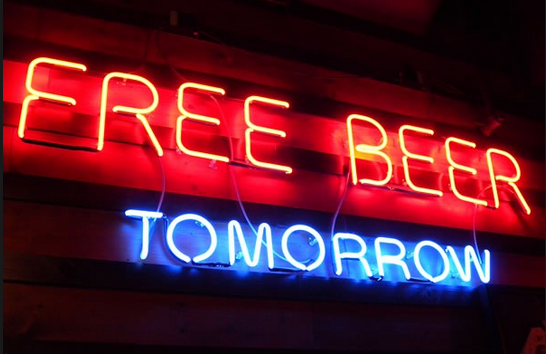 Free beer. On campus. Every week. Its like they’re begging me not to attend my Friday classes. Or at least bring a couple left over nattys to class. Which leads me into number 3…. When I say everywhere, I mean everywhere. Beer in class is completely acceptable, or at least no one has said a word yet. In my opinion, this actually increases my class attendance. Its like “ey mush should we go to class today?” Instead of sitting at home drinking beer, we do it in class. And we participate more than anyone while were at it. 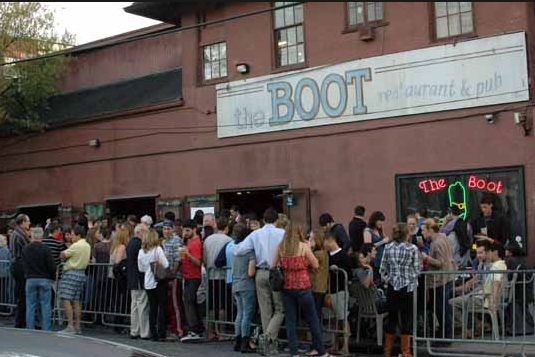 The Boot is consistently ranked as one of the top college bars in America. With normal hours of 11am until whenever everyone leaves and its proximity to campus (a two minute walk from the library), The Boot provides a great atmosphere for drinking any time of the day. From scooping up that late night suspect burgah to grabbing a pitcher in between classes (and of course trying to lay the mack on hot bartender), it serves all basic college bar essentials. It has two pool tables, tvs always on sports, and is 18+. Not to mention Wednesday and Friday happy hours serve triple shot drinks for the price of one. You can find me there on any given day that ends in the letter “Y”. 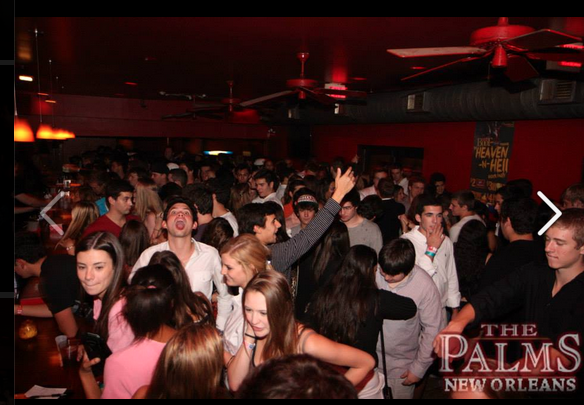 The Palms is an entirely different beast. 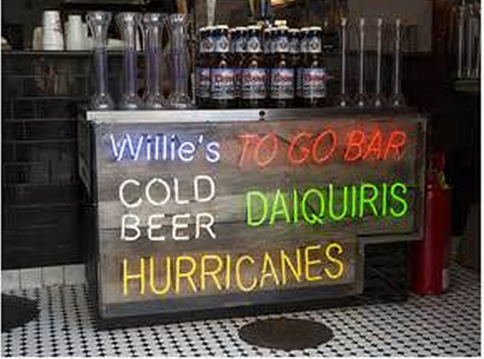 This George Foreman Grill of a bar opens late and provides the late night burgah shack for Tulane students (in case you were wondering why it says “bar and grill” on the sign). Both guys and gals flock to The Palms to find a burgah after any night that did not already end in at least some fries and a shake. Anyone can get a girl there. One of my roommates has been spotted returning home with a local veggie burgah on more than one occasion. No true Tulane student could leave this off their list. I knew one kid who went home during Mardi Gras freshman year. He transferred. 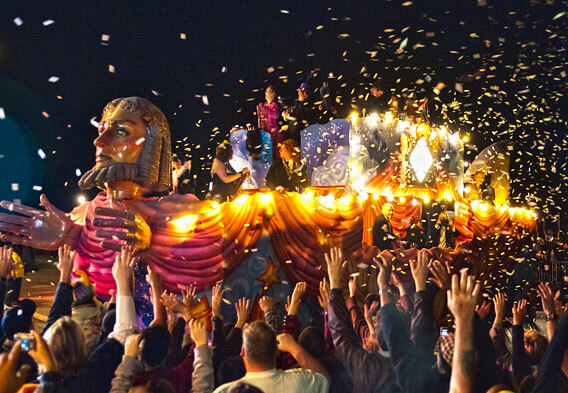 Every time I catch up with a high school friend for a long enough time, Mardi Gras comes up as a topic. I try to explain to them how it goes down. I’ve sent videos, pictures, stories, etc. Nothing does it justice. I finally got one of my best friends to join me this year. He was asking me on the third day if we really had to drink again. What are you some kind of Charles or something? If you don’t know what I’m talking about that means get off you’re knees kid cuz you’re blowing the game. See you next year! Pingback: Only at Tulane | Only in New Orleans | CUT.TO.THE.CHASE.